900+ Adults have been trained in Siskiyou County. Our goal is to train 5% of our population, which can create significant social change. Initial training is 3 hrs. Contact us to join a training, or to set up a training for your coaches, organization, or group. The Siskiyou Family YMCA will provide your work team, coaches, church or friend-network with on site training to to prevent, recognize and react responsibly to child sexual abuse. Initial training is three hours, with opportunities to come together twice per year for additional conversation. We encourage you to request a special session for your group or organization. To learn more, read "Protect Our Children" by the Ford Family Foundation. Our nationally acclaimed curriculum educates adults on how to prevent, recognize, and react responsibility to child sexual abuse. If we train 5% of our county, we can make a true difference and create change, for the better. In March, Aly Raisman launched the Flip the Switch campaigin partnership with Darkness to Light to offer our Stewards of Children® online course which teaches adults how to prevent, recognize, and react responsibly to child sexual abuse. Through the campaign, the training is free and Aly autographs each and every certificate of completion - 1800 and counting! Contact the Siskiyou Family YMCA to set up a training for your group, to reach the tipping point for change. 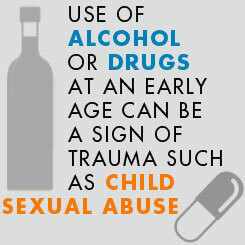 Know what to do if you suspect or discover child sexual abuse. Learn signs of abuse that will help you identify when to report. we can make an impact on child abuse. Do we have a plan to reduce child abuse in our community. Yes. 98% of participants would recommend this training to a friend or coworker. Read "Protect Our Children" by the Ford Family Foundation.